President Donald Trump said Friday 'it's about time' that ISIS no longer controls territory in Syria. All Islamic State-held territory in Syria has been "100 percent" eliminated, the White House announced Friday, though officials said sporadic fighting continues on the ground between coalition forces and the group's holdouts. 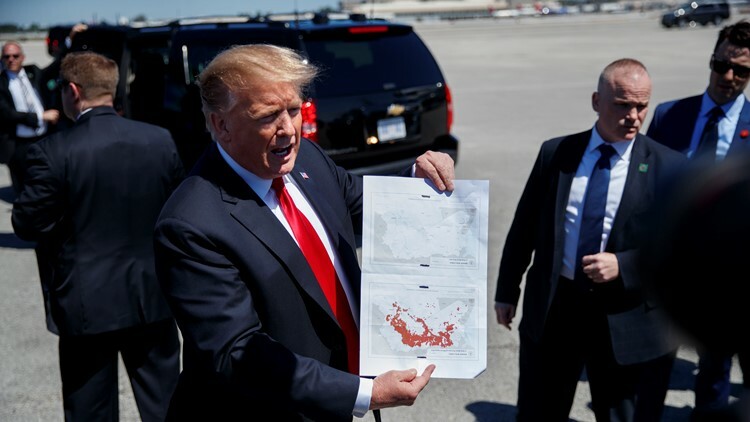 President Donald Trump said Friday "it's about time" that the group no longer controls territory in the region, after a campaign by U.S. and coalition forces that spanned five years and two U.S. presidencies, unleashed more than 100,000 bombs, and killed untold numbers of civilians. Trump has been teasing the victory for days, most recently Wednesday when he said the milestone would be achieved by that night, but sleeper cells of fighters had re-emerged. Baldor reported from Washington. AP writers Robert Burns contributed from Washington.